When I got on the phone to talk with Jasmin Shokrian, we weren’t intending to trace the trajectory of her career, but its history organically emerged (in much the same organic way that the career itself evolved). When everybody is trying to be noticed it becomes a fog of white noise that cancels everything out. Jasmin didn’t start out as a fashion designer. She left her hometown of Los Angeles to study painting at the Art Institute of Chicago. Her time there was very conceptual and very interdisciplinary, and her painting soon morphed into creating painterly films of a highly experimental sort; Stan Brakhage is the reference she gives me. As part of the process of making these experimental films, she and her art student collaborators would fabricate objects to place in the mise-en-scène. This practice certainly prepared her for her first job after school working for the Chicago-based architect Mario Aranda. It was through this job that Jasmin transitioned into interior decorating. Part of her interior decorating work began to involve creating pieces she felt the interiors needed. She mentions the pillowcases that she built along with Shane Gabier (who would go on to start the Label Creatures of the Wind with Christopher Peters). This was all happening around 2001, which Jasmin says was a very DIY moment in the American zeitgeist. 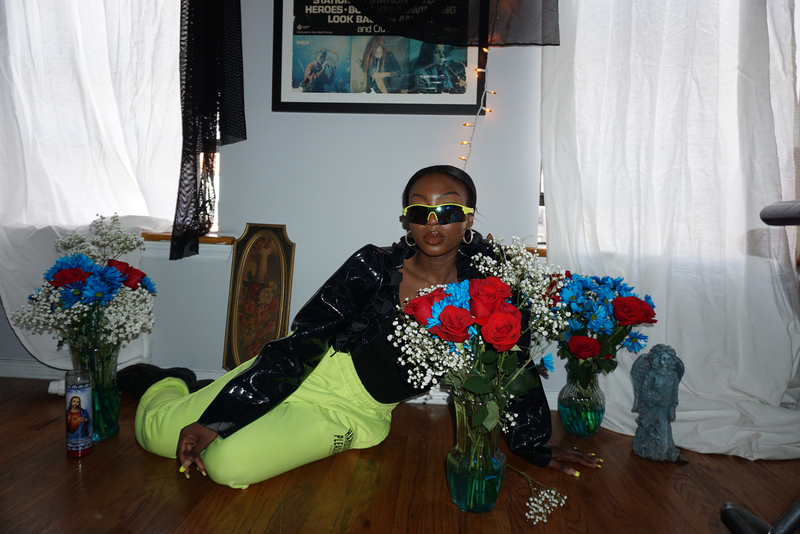 Jasmin’s practice of building objects as needed continued when she began to get involved with doing styling for Chicago’s very close-knit fashion community. It was the top that she fashioned out of vintage cheesecloth that ultimately inspired her to create her first collection. That inaugural collection consisted of only 15 tops. 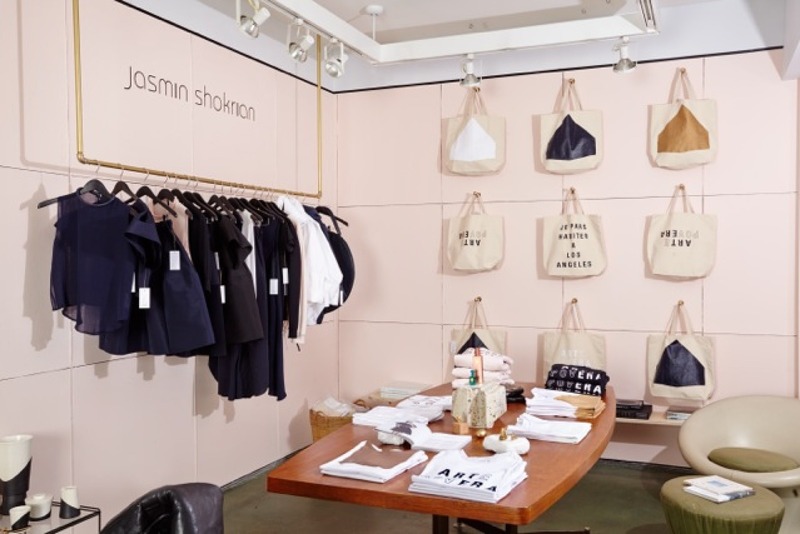 Jasmin took it back home to L.A. where she only approached the best stores with her line because she knew she wouldn’t have the infrastructure to fill large orders the first time around. Her collections were initially very conceptual, in-line with her Art Institute background. The inspiration for the first came when she received an amorous wrong-number message on her answering machine. The disembodied voice of this stranger calling from a payphone at the airport so captured her imagination that she took out an add in the back of the paper soliciting further voicemails. She then took the audio from these answering machine recordings and transformed it into waveforms, which she used to create the patterns for her original collection. Cathy Horyn, the famously discerning New York Times fashion critic, became an initial and effective champion of the label, which was soon in Barney’s and the pages of Vogue. Over a decade later Jasmin still maintains a very strong connection to the arts. 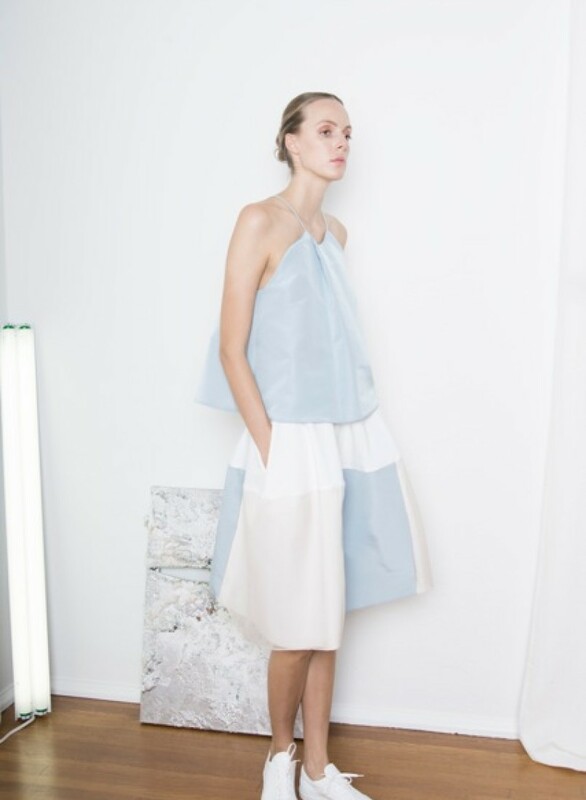 Her latest collection is a tribute to abstract painters Agnes Martin and Robert Ryman. “I imagined it as a sports match between them.” She was particularly inspired by both artists’ use of shapes and color. The color white, in particular, got Jasmin thinking contemporary white noise. 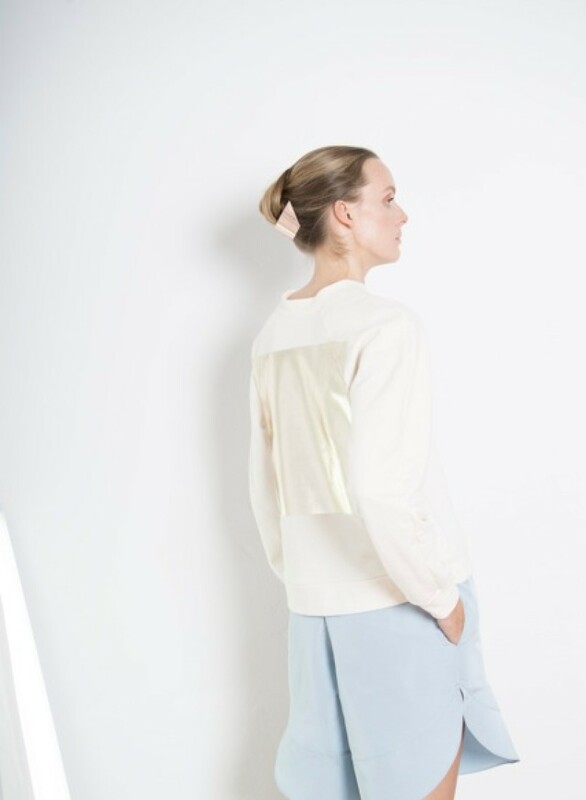 “When everybody is trying to be noticed it becomes a fog of white noise that cancels everything out.” Jasmin’s Spring 2015 collection is a commentary on this white noise and her label, in general, can be seen as a reaction against it. Jasmin’s collections have always been for women who are more interested in the arts more than in trends and who are confident and appreciative of clean shapes and architectural designs. Utopian or not, it is not lost on Jasmin that this L.A. fantasy is something that more and more people are pursuing. “The people who once looked down on L.A. are now invading the town.” But she doesn’t mean invading in a bad way, necessarily, feeling that the changing landscape makes it an exciting city to be in right now. If L.A. is changing, it is quite likely that Jasmin’s presence in L.A. has something to do with it. After all, she can be found quite literally at the nexus of the L.A. art and fashion world with her MOCA pop-up show in downtown L.A. However central Jasmin might be to the zeitgeist at any given time, though, the defining quality of her work will always be its timelessness.